Instantly compare the resulting color with the matching pH colour chart. What liquids can I measure? 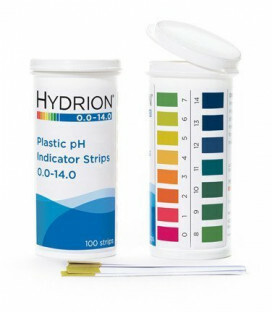 Hydrion pH Test Strips measure common liquids (or what is called buffered solutions) and foods. Easily measure the pH of sushi rice, liquids such as orange juice, soda's, cordial, battery liquids even soap. 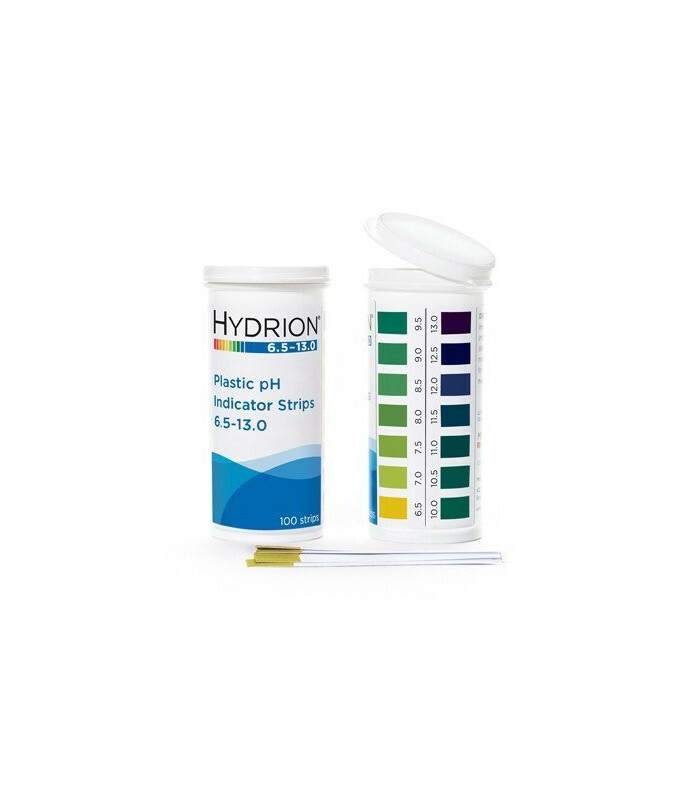 Super-sensitive pharmaceutical grade Hydrion diagnostic pH testing strips give you an extremely accurate reading of how acidic or alkaline common everyday liquids are. What product do you suggest for urine/saliva? For optimal health, the body is designed to be in an alkaline state (pH 7.0). 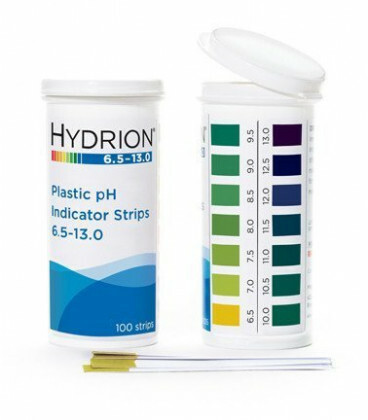 Due to the high range of 6.5 - 13.0 pH Plastic strips (each 1 pH interval has a 10x measuring factor) this makes these strips unsuitable for accurate urine/saliva pH readings. For example, comparing a reading of pH 7 to pH 8, the reading of pH 8 will be 10 times more alkaline than pH 7.
pH Plastic Strips 5.5 - 8.0. 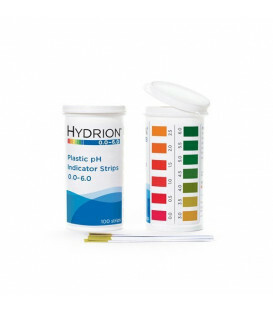 These two measuring products have pH measurement intervals in the 0.2 making them the better option for urine & saliva. 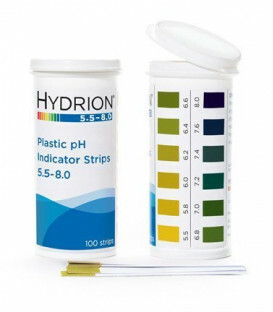 Can I use my pH Plastic Test Strips to measure the pH of water? Are the strips easy to read? 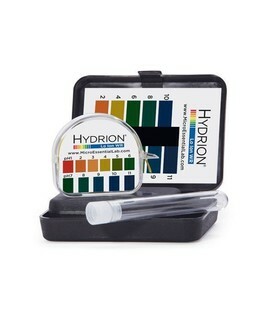 Unlike other brands who have two colour charts to compare one reading, Hydrion pharmaceutical testing equipment are the true leaders in easy-to-read measurement with no guesswork. Pharmaceutical quality assured since 1934, Hydrion are the true leaders in pH measurement! Material Plastic strips lined with pH paper for ease of measurement. Conveniently packed in flip-top vials, these premium quality plastic strips offer clear, bright single colour matches.